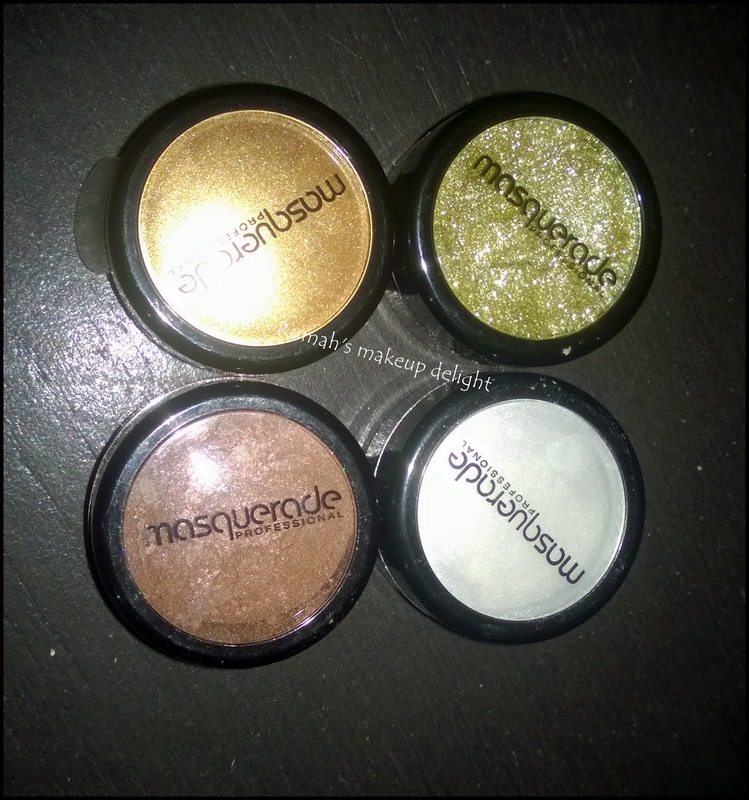 I got beautiful cosmetics from Masquerade Cosmetics to try and write my honest review about them . Being a makeup lover or i may add a makeup maniac i love reviewing cosmetics most of all and My favourite products are eye-makeup products . 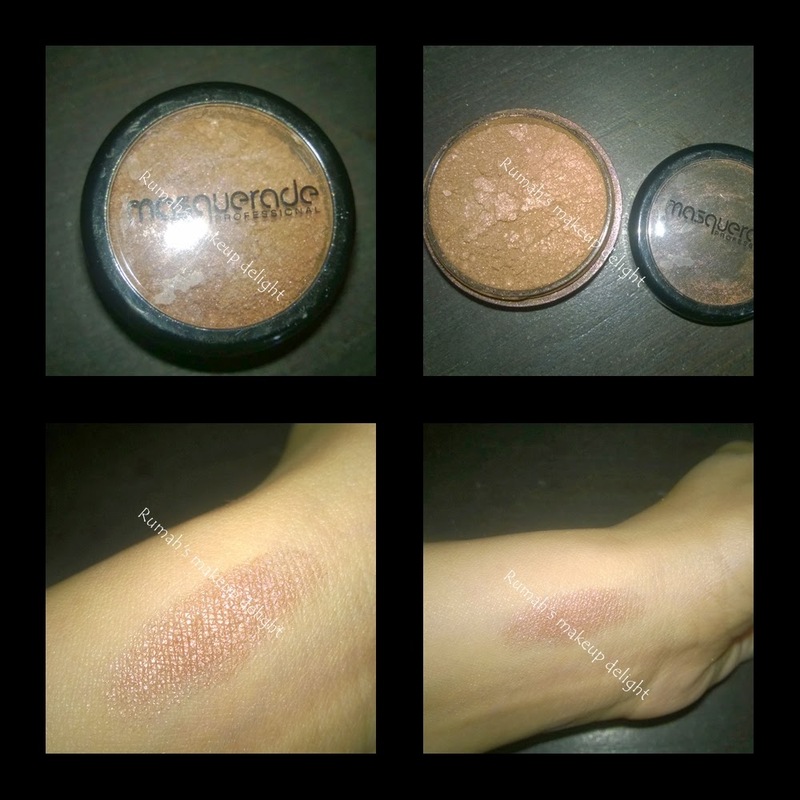 In this review i will only talk about Shimmer Powder and Glitter Cream. 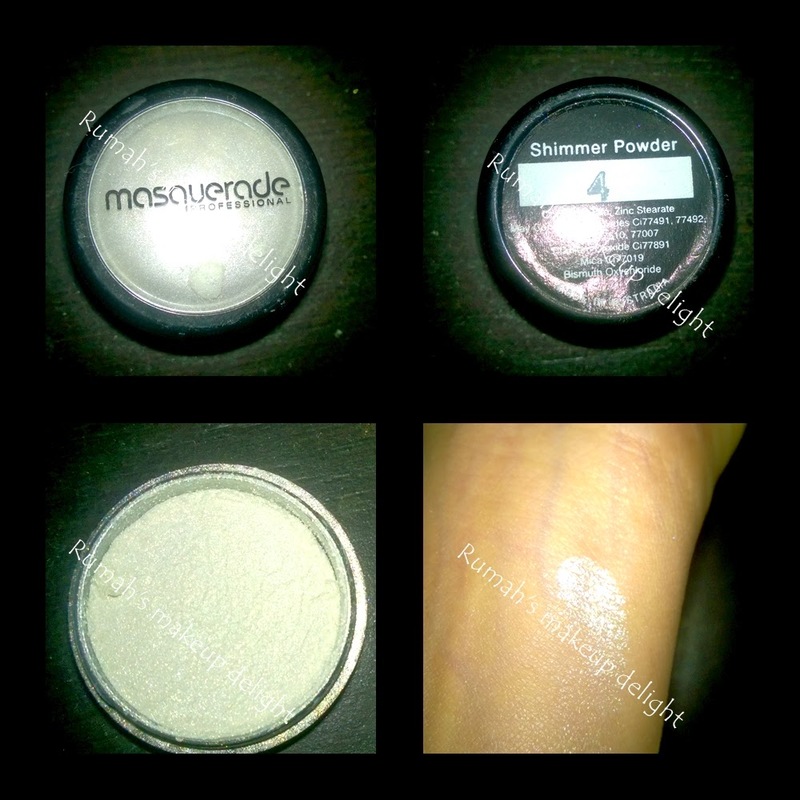 I will begin with the favourite of all, Shimmer powder shade 4. Its a Pale silver gold shade , I opened it and first thing came in my mind that oh it can perform as a great highlighter as well and yes!! 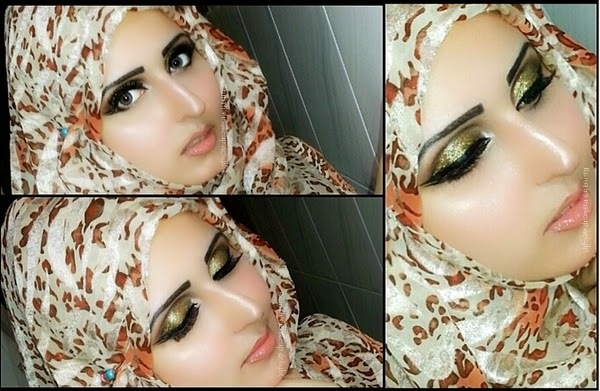 I created a look and used it both as an eyeshadow and as highlighter as well and it was looking gorgeous , since it has gold shade which is so pretty. This shade is a Classic brown shade , I wonder there was no shade description on the back so yes its Classic Brown shade #47. 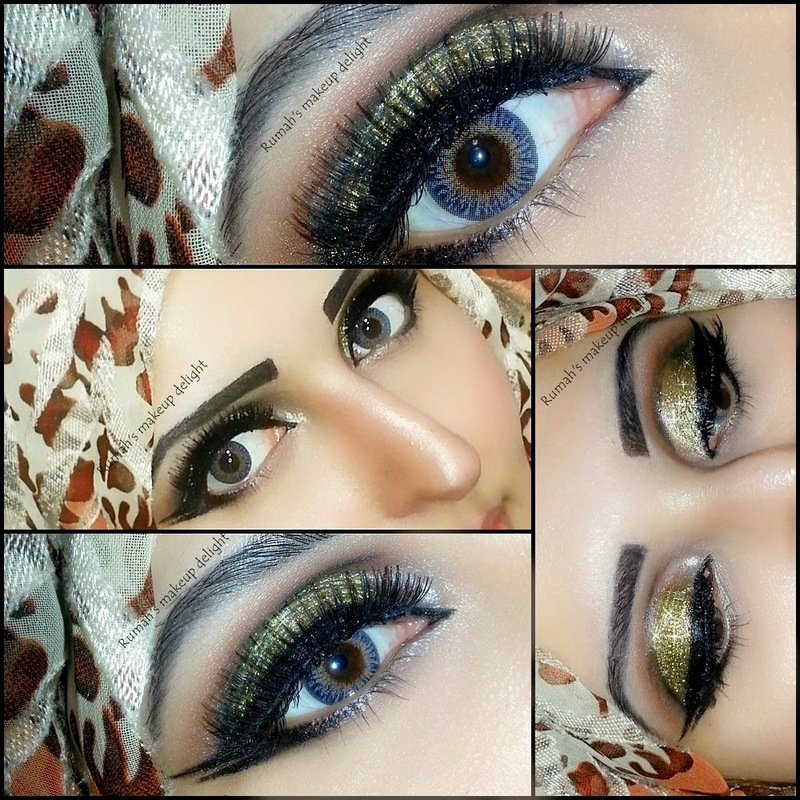 Brown shade is one of the key shades an artist use in makeup and this brown shade is very useful and well pigmented . 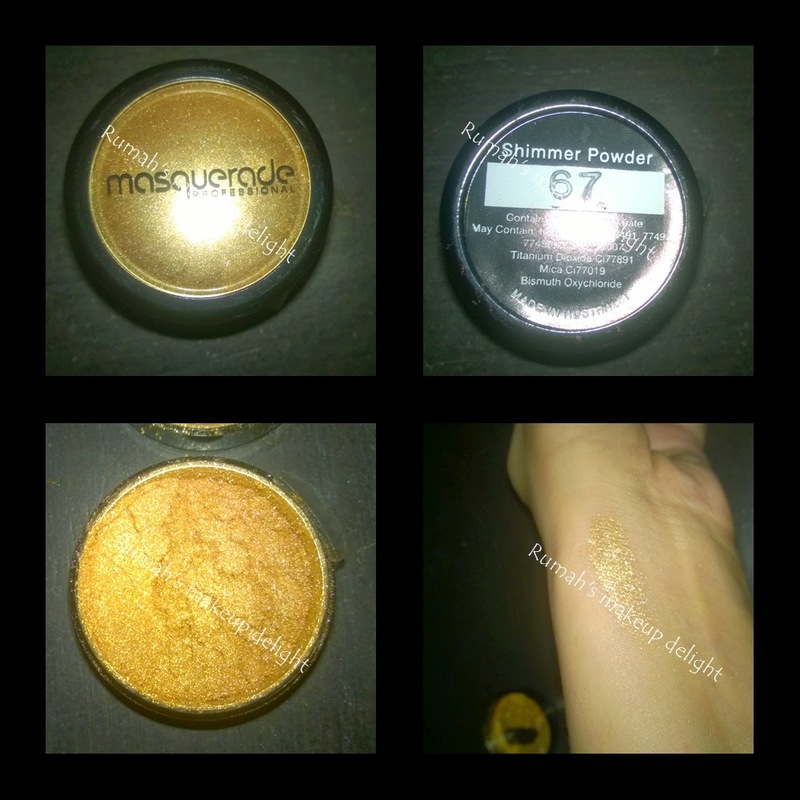 Shimmer powder #67 is a Gold shadow and what Beautifullll shade this one is , i thought i wont have any eyeshadow that could beat sugarpill goldilux but now i can say this one is actually far better and i didnt experience any fallout too , its a 10/10 . When i opened the package i was most excited to use this product but when i used it it really disappointed me , its a beautiful shade and i wanted to use it as we use loose glitter in eyemakeup but according to its creamy texture it was easier to apply but very difficult to set :/. Because of its creamy texture the amazing pen liner of masquerade cosmetics was unable to stay, it was fading again and again .. and i know its not the problem of the pen liner since i swatched it yesterday on my hand and i have washed my hand many many times after that and the swatch is still there. The result is amazing .. isnt it ?? 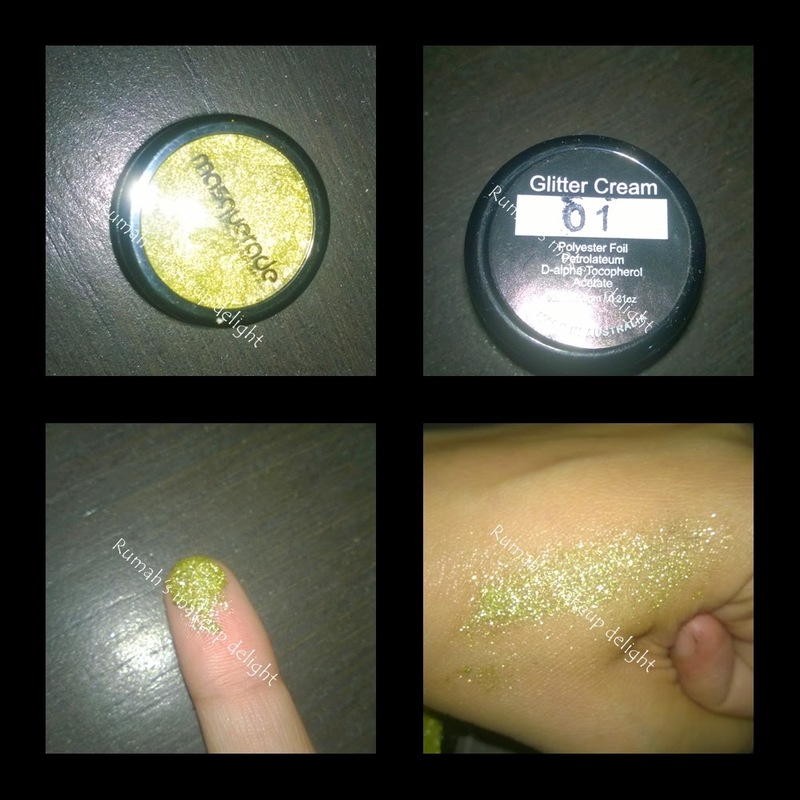 I love all ths shimmer powders and Glitter Cream as well but i faced problems with glitter cream so i stated them as it is , i will try to use it again in a different way and if then i didnt face a setting problem i would share it with you . 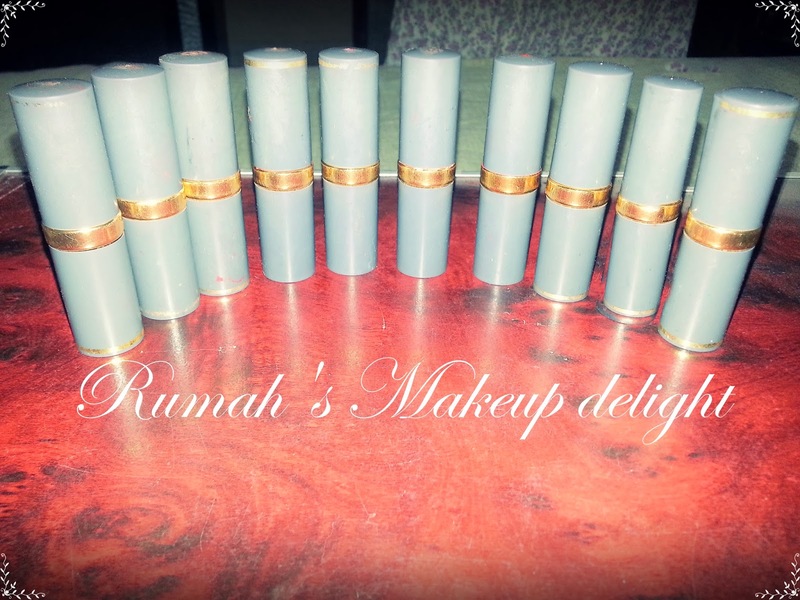 If you are trying to get hands on great quality cosmetics Visit http://www.tmfcosmetics.com/ , and like their Facebook page for contests , discounts and promotions. Which is your favourite Brand to buy Eye Makeup? ?